Most are familiar with devotion to the Baby Jesus at Christmas but fewer know about devotion to the Virgin Mary. 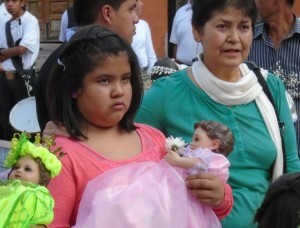 Devotion to “little Mary” is strong here in San Miguel, and Mexico as a whole. On 6 January 1840, the Feast of the Three Kings, Sister Magdalena knelt before a nativity scene in her convent in Mexico City, contemplating the Christ Child in the manger. She then had a thought: if we honor Jesus’ infancy, why not that of his Mother? Suddenly, a lovely little girl appeared before her, dressed like a tiny princess and reclining in thin air! Sister Magdalena immediately knew that this beautiful child was the Virgin Mary, appearing to her in the form of a baby. The Infant Mary told her “I will grant great graces to whoever honors me in my infancy”. 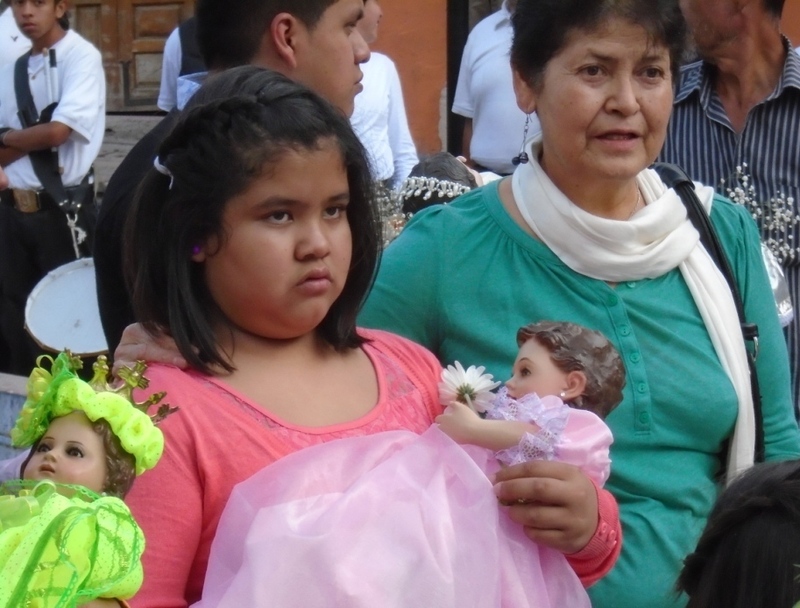 Sister Magdalena asked a local sculptor to fashion a statue of the Infant Mary. Once she received the image she began to spread the devotion that originally started in 1245. Many locals experience miracles through the intercession of little Mary, particularly in regards to children and pregnancy. Her image is venerated at the church of Our Lady of Health (next to the Oratorio) for 9 days leading to September 8th. And again on the 8th of every month. Each night, a different version of the Infant Mary rests in the church. 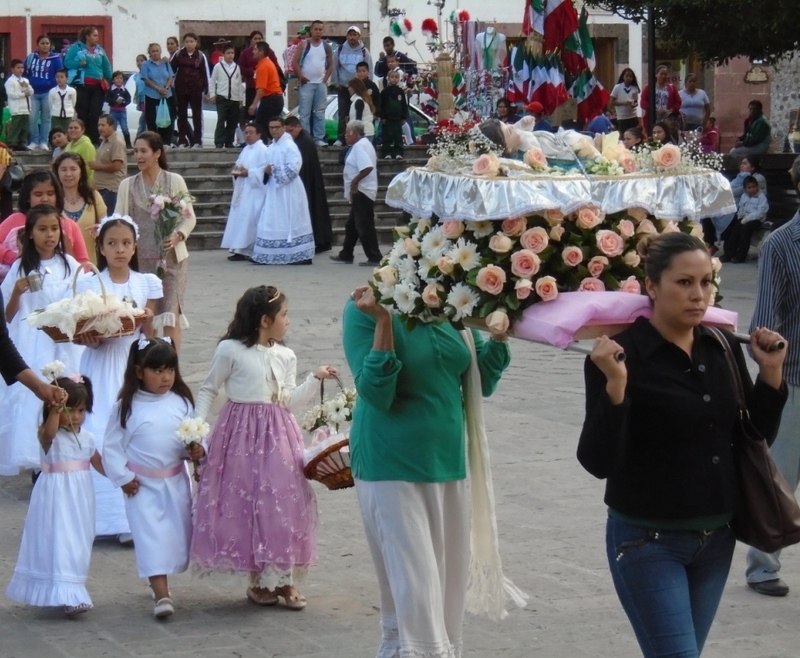 On the 8th of September a parade is held with a wide array of Infant Mary statues displayed, often in remarkable hand-made clothing. 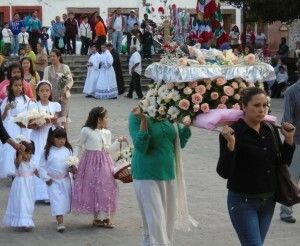 The parade ends at the church where a mass is celebrated and there is a party with music, entertainment and food.